Sometimes a town can feel too picturesque to be real. Almost as if you’ve stepped into a storybook or movie. 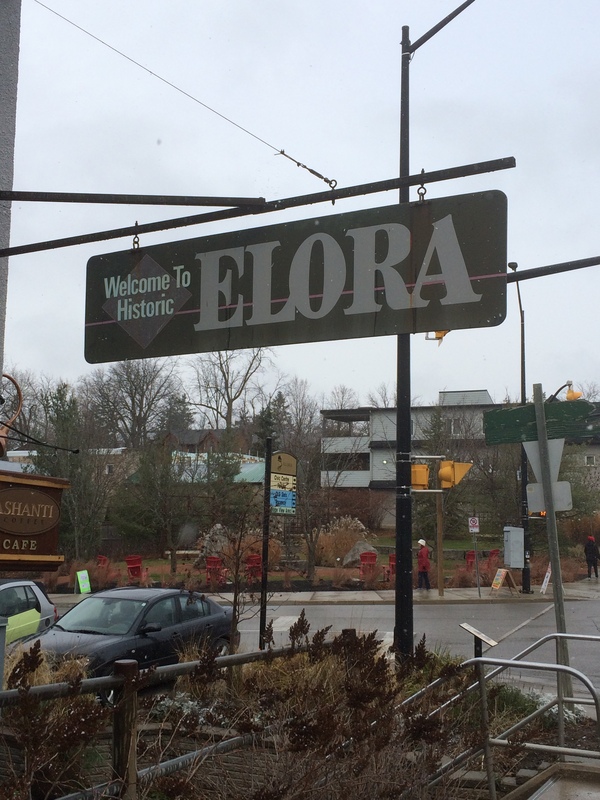 That was the first thought on arriving in the beautiful town of Elora, Ontario. 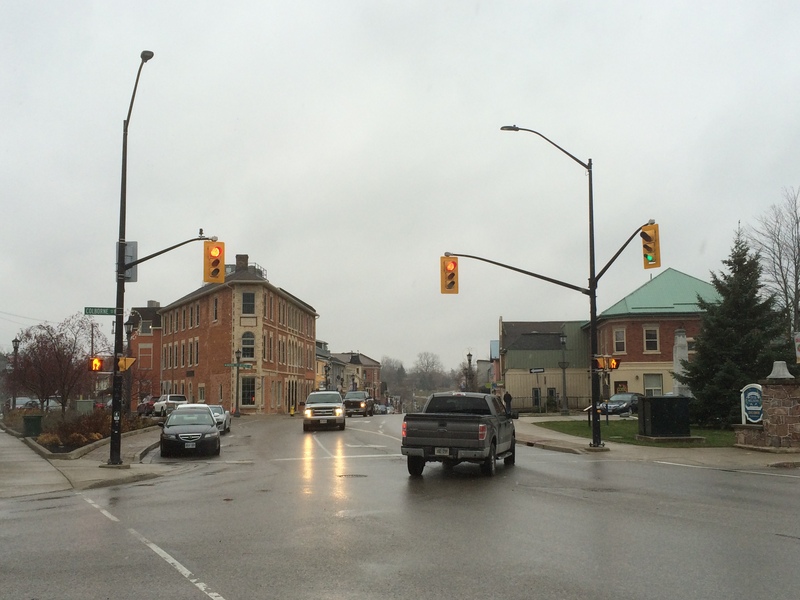 The town feels purpose-built for a Christmas movie. 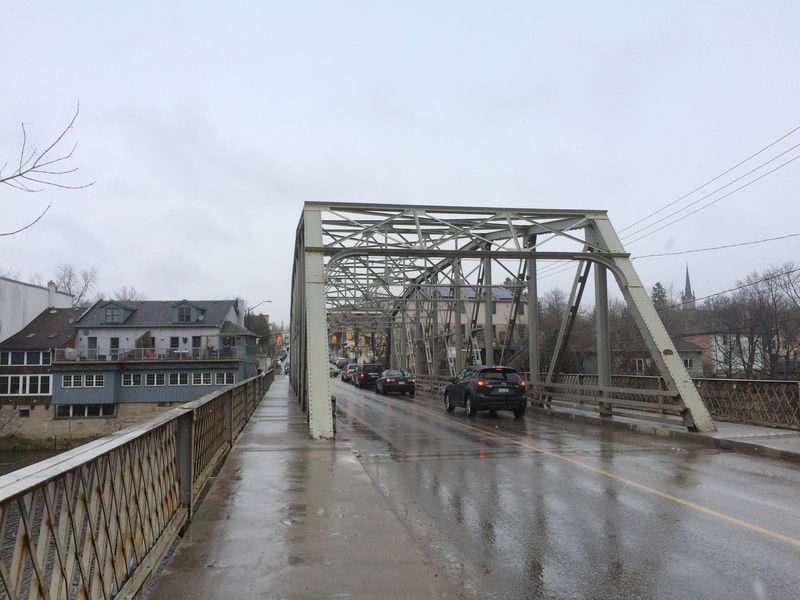 From the Grand River running through town to a main street lined with 19th century buildings, Elora is the living example of my ideal town. 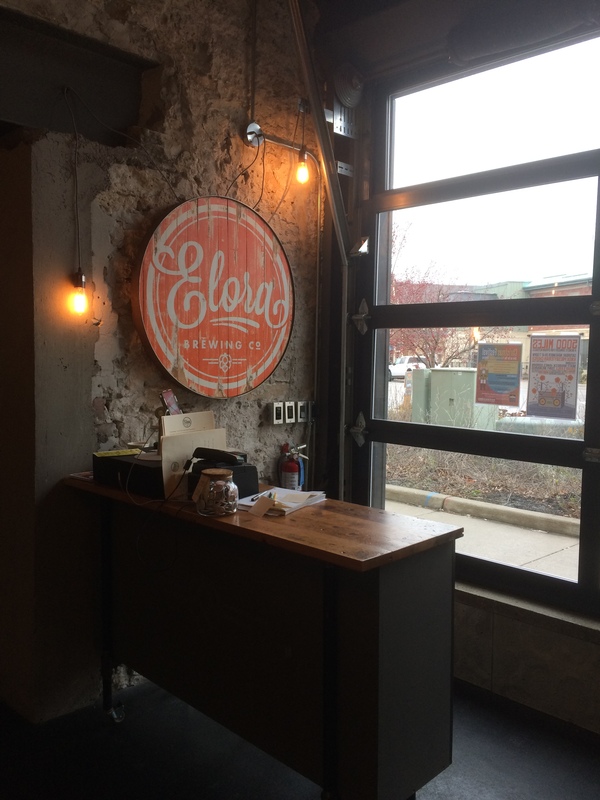 Elora is also the perfect example of the impact of craft beer. 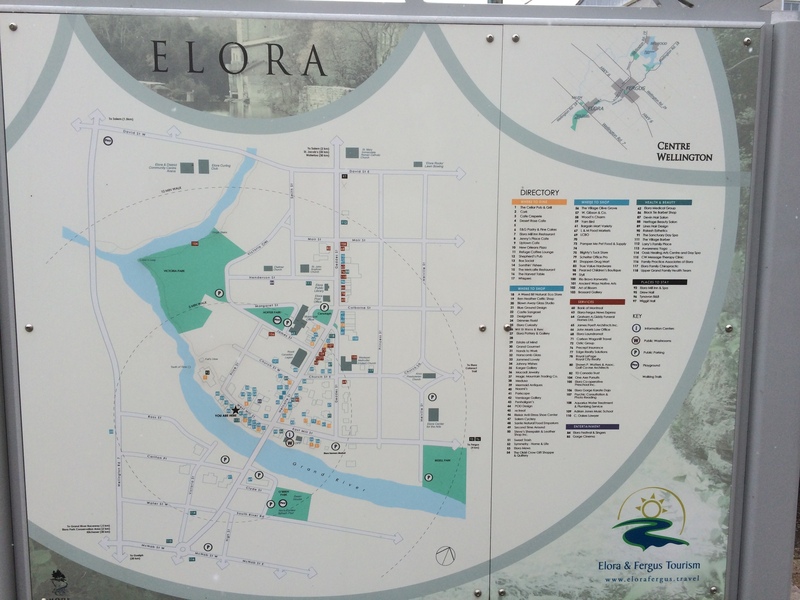 To be completely honest, we’d have never visited the town if not for the very new addition of the Elora Brewing Company. 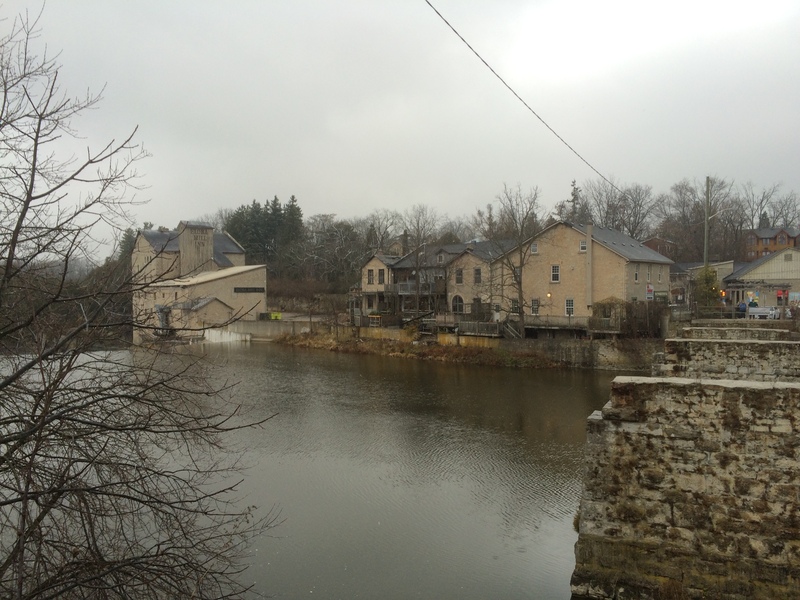 And during our time in Elora, we heard the brewery mentioned by a customer in every store we visited. 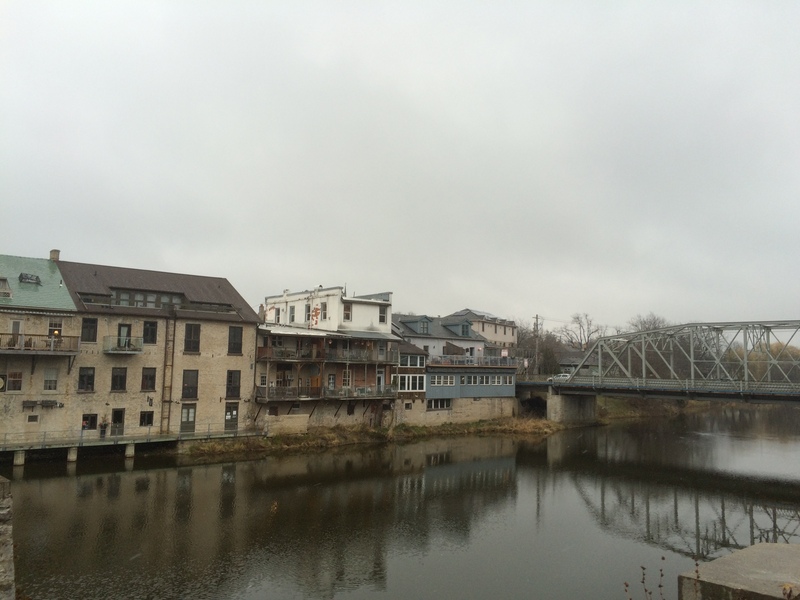 Aside from Shopper’s Drug Mart, we didn’t see any big name brands in Elora. The stores are all small and independently owned. 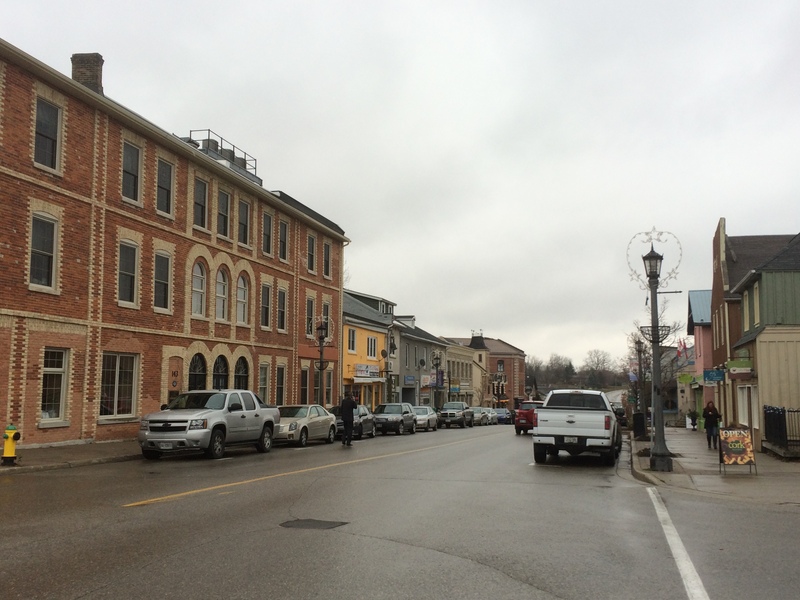 And they occupy buildings that have long histories in this small town of about 4,000 people. Because the stores are independent, they’re also unique. As diverse and unique as the people who own them. 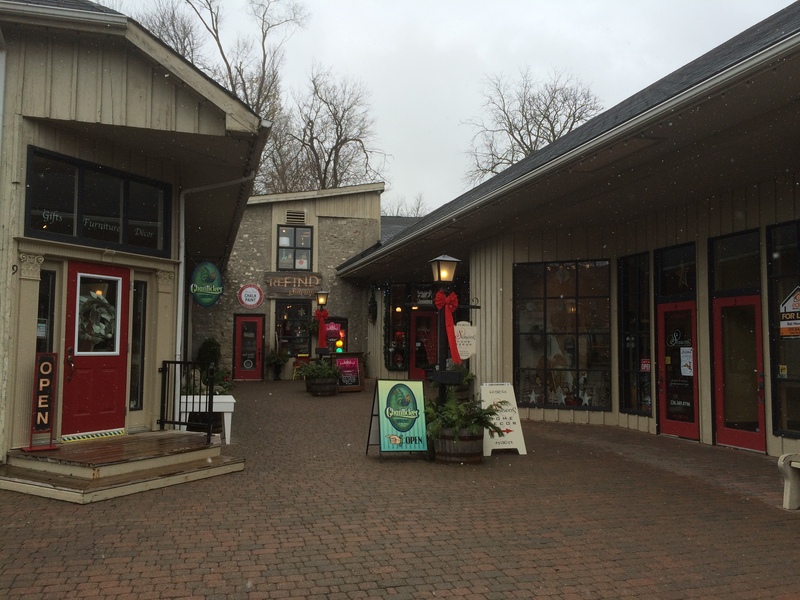 The town is small, but if we visited every store along the main street it would have easily taken the entire day. We were doing Christmas shopping and planned accordingly. A highlight was Jammed Lovely. The store is great and we bought quite a bit, but there were also shop dogs! 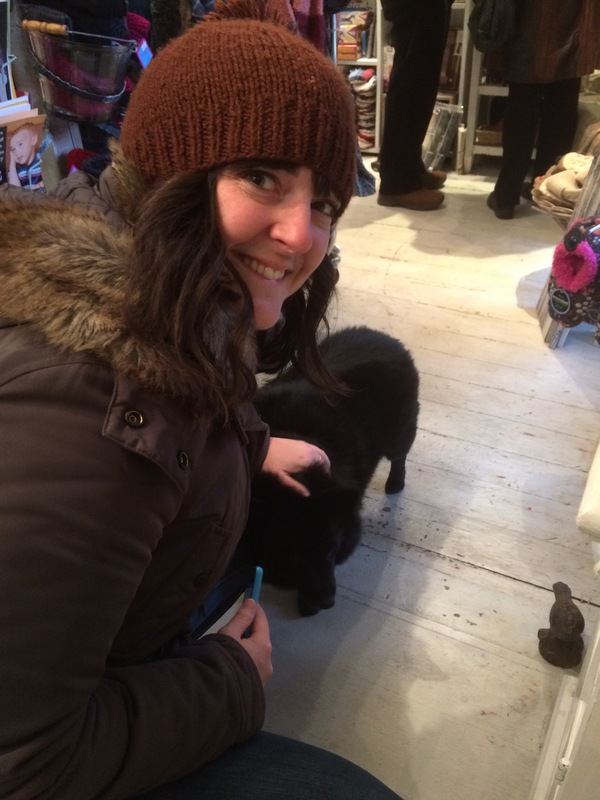 Two incredibly friendly Schipperkes took all of my attention and allowed Jenn to shop without me complaining. They also had free hot chocolate, which was perfect for the cold, snowy day! 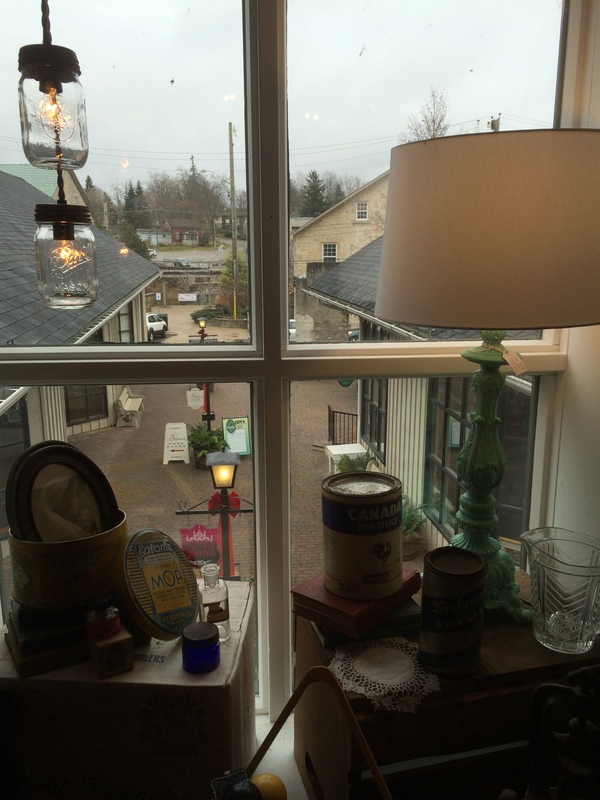 Another great store was reFIND Salvage, which was filled with restored and vintage home décor. 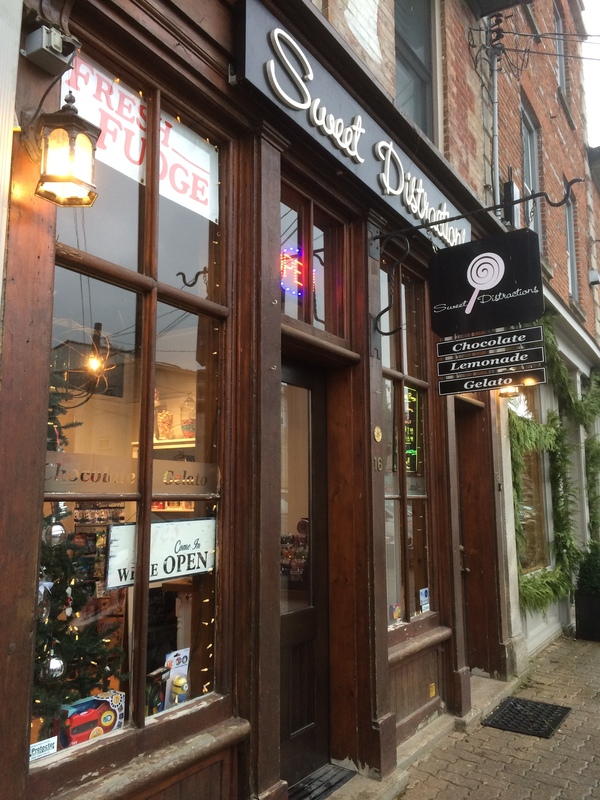 We satisfied our sweet tooth at Sweet Distractions and were somehow able to avoid spending all our money at Grand Bark Pet Boutique. 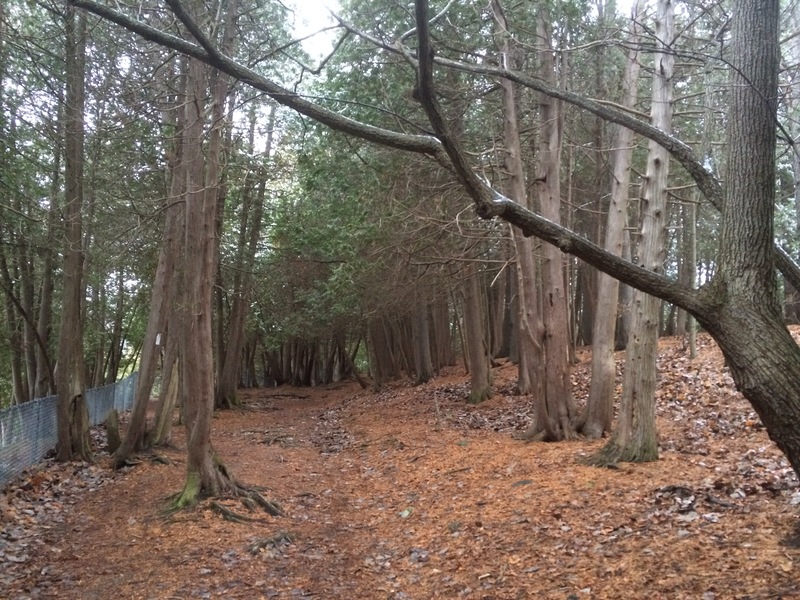 One of the nicest things about Elora is how you seem to always be a few steps from a nature trail. 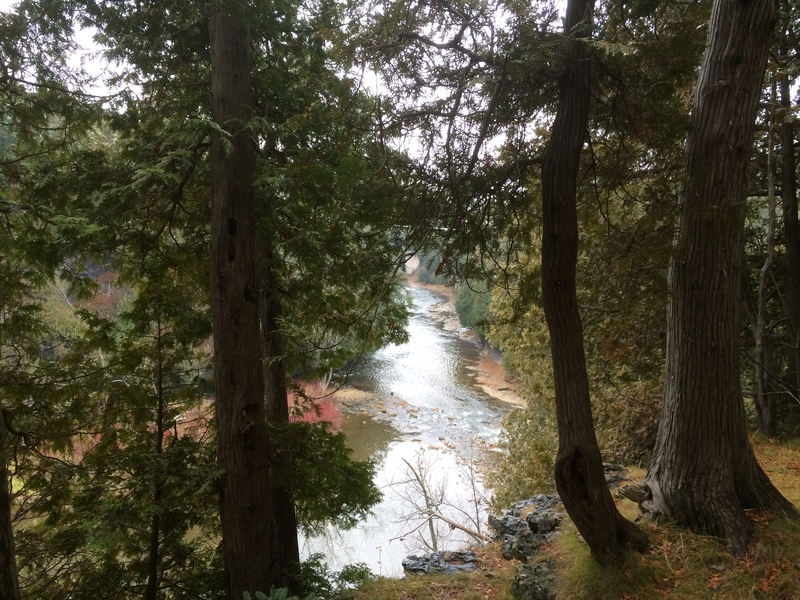 The Elora Gorge Conservation Area is what most people will have heard of. 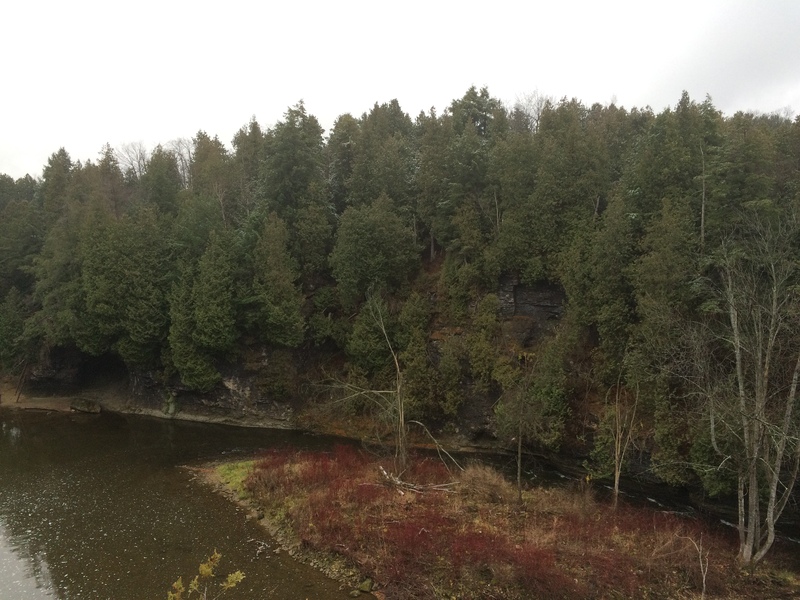 We didn’t go right into the conservation area, but still got to take in the sights and sounds of the gorge. 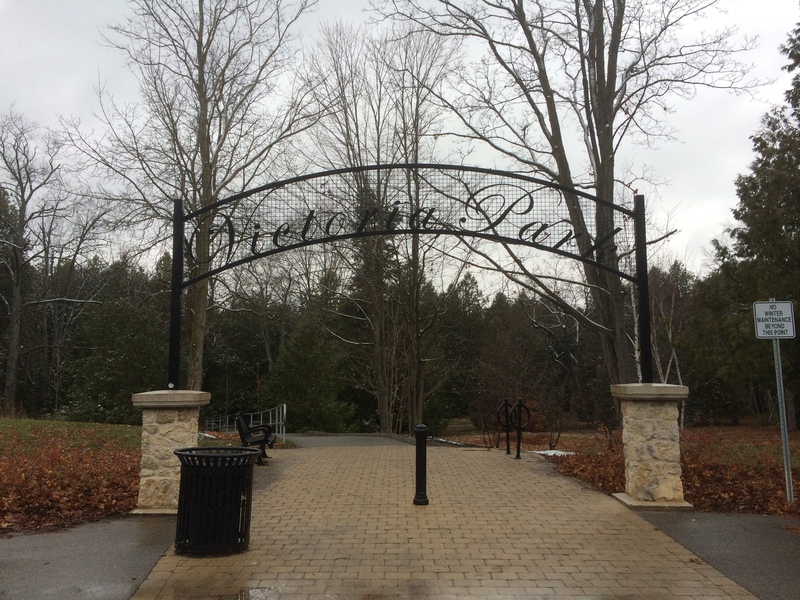 Victoria Park, which is only about a block or two off the main street, has beautiful wooded trails that go to look off points. While in the park, you feel miles away from civilization! Within minutes of delicious beer! For such a small town, there are some nice options for getting a meal. 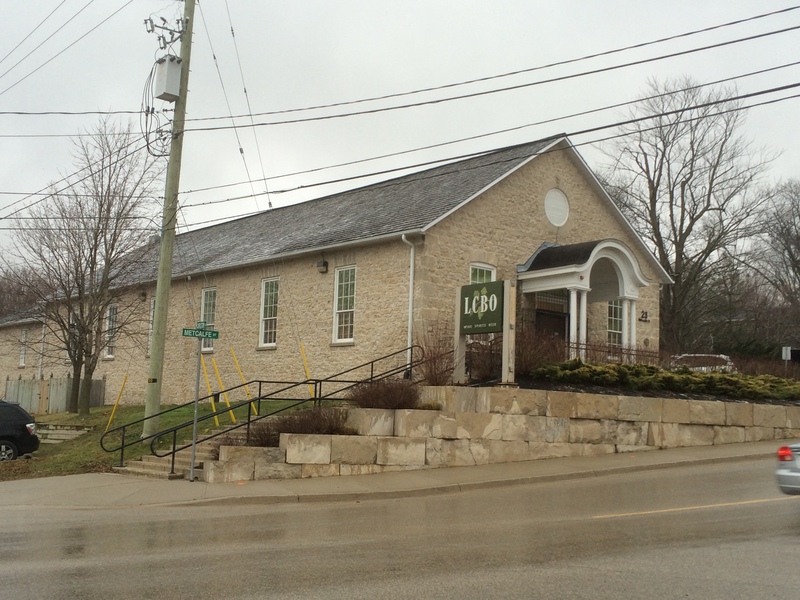 One option is actually the Elora Brewing Company itself which has a great menu and a tap list that includes more than just than own beer. We went with Shepherd’s Pub, a very traditional looking blue exterior led into a basement pub. The basement pub is one of our favourites, so that immediately put a smile on our faces. The food was good, although Jenn’s curry poutine was a bit cold. At Shepherd’s, I got my first tasted of ABE ERB Brewing Co. in Waterloo, which was another brewery we’ve been wanting to try. They’re 1857 Kolsch is quite good. Super easy drinking and light, but with nice complexity of flavours. The main event! 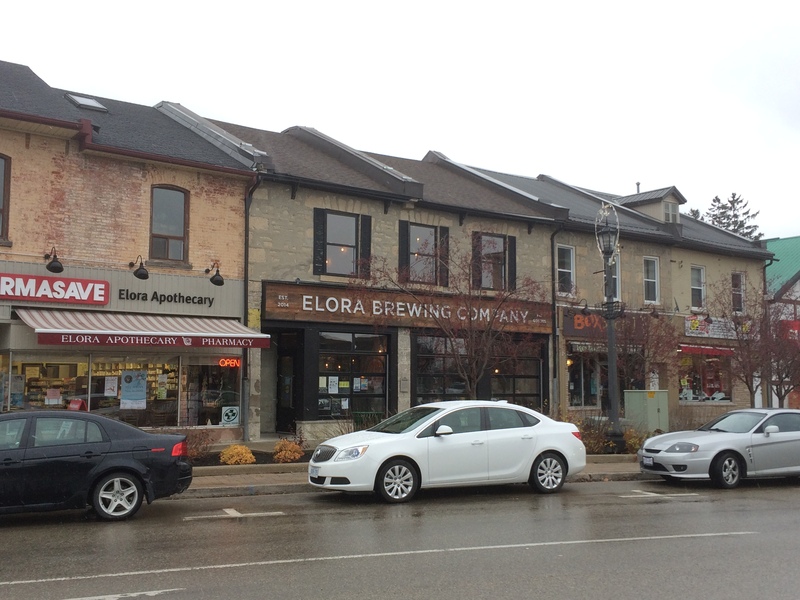 Elora Brewing Company is new to the craft beer scene, having opened earlier this year. 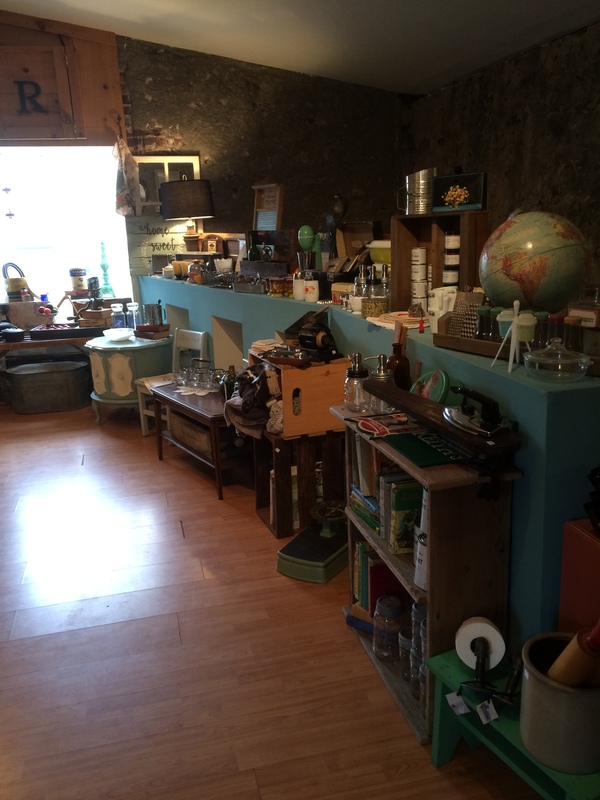 They’ve completely gutted an old hardware store, which gives the place a very rustic feel. 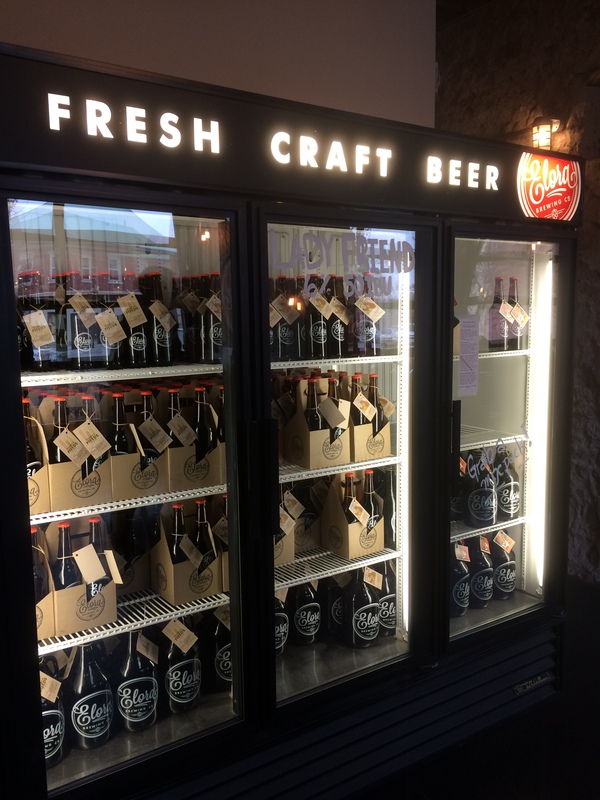 The bottle shop has a convenient self-serve cooler with pre-filled growlers. 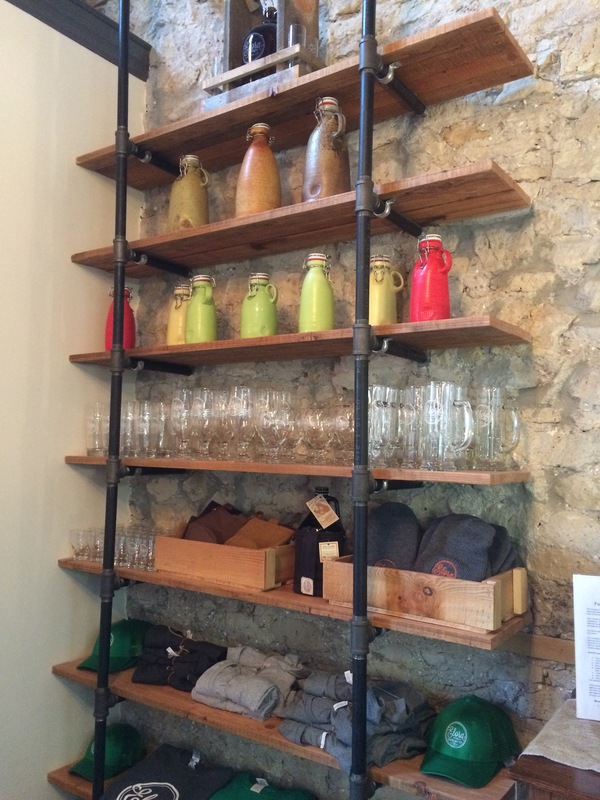 They also have a great selection of merchandise, including ceramic growlers (*drool*). 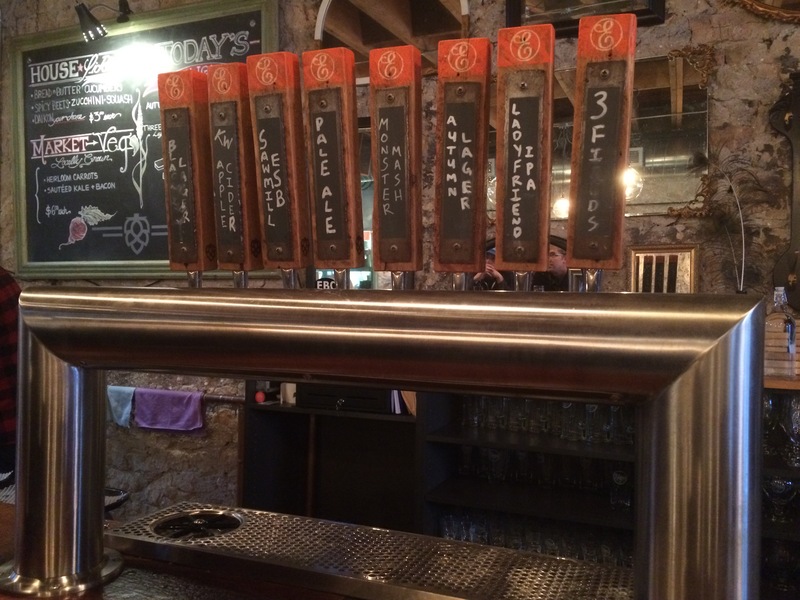 You’re able to grab samples at the taproom’s bar before buying, which is nice. The taproom was full when we arrived. From looking at their menu, we could understand why! They had three beers available when we visited. Right now, this is our favourite beer name and label. Love it! The beer itself was quite nice, with a great amber colour. In contrast to a lot of IPAs we’ve been having, there was more bitterness and less citrus in this one. Is definitely a beer that Jenn, as a hop-head, can love. Again, Elora does a great job with naming and labeling! The colder weather helped set the mood for porter, but this beer didn’t need it. A really nice porter that isn’t overpowering on the pumpkin. Smokey, sweet and very dark. 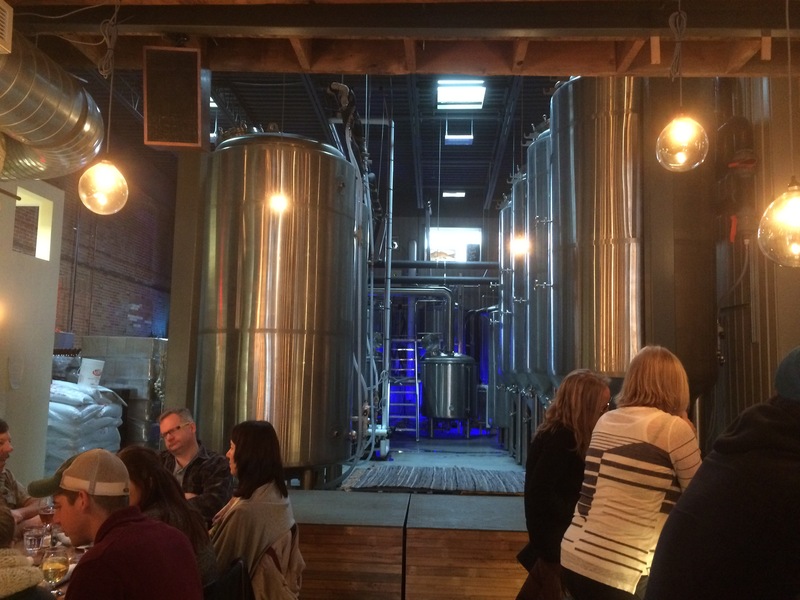 This is a brewtrip you need to replicate. You can park for free, walk to everything and will meet some of the nicest shop owners around. 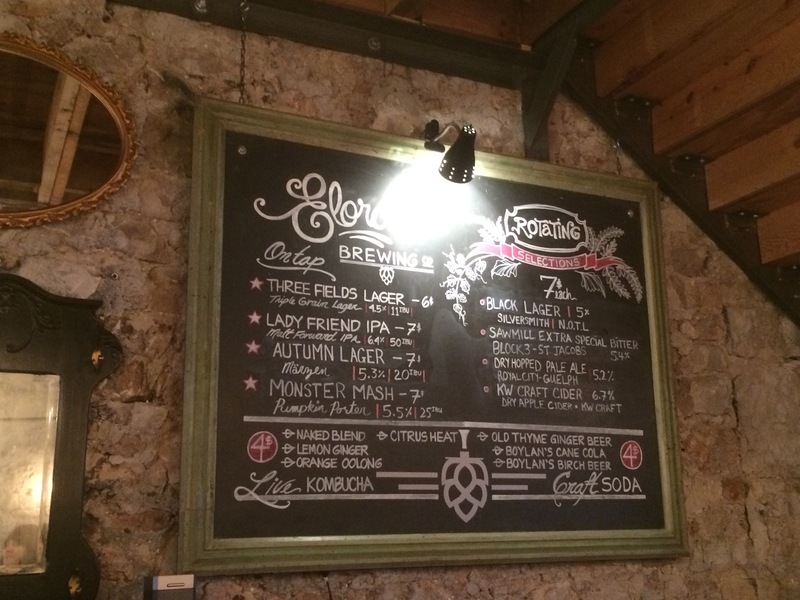 The cherry on top is a wonderful new addition to the Ontario craft beer scene!